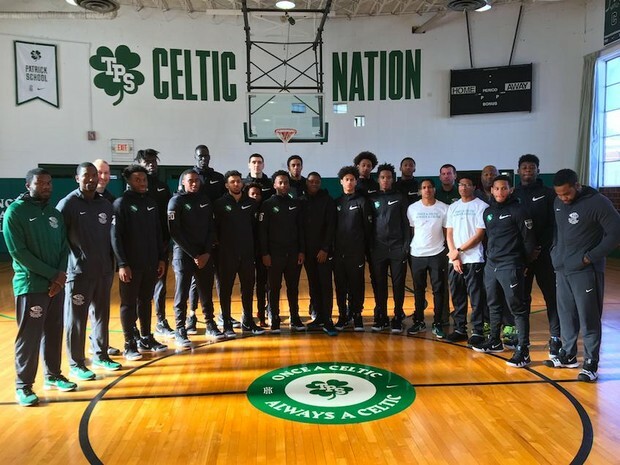 One of New Jersey's proudest basketball programs got new life when St. Patrick's High School reopened in 2012 as Patrick School — but the new building didn't include a gym. The team practiced in random gyms and warehouses around the state and country, even once resorting to working out in a gym in Virginia with peach baskets instead of backboards and rims. The program finally got a gym when it moved to a new building in Hillside in 2016, but it still needed serious work. 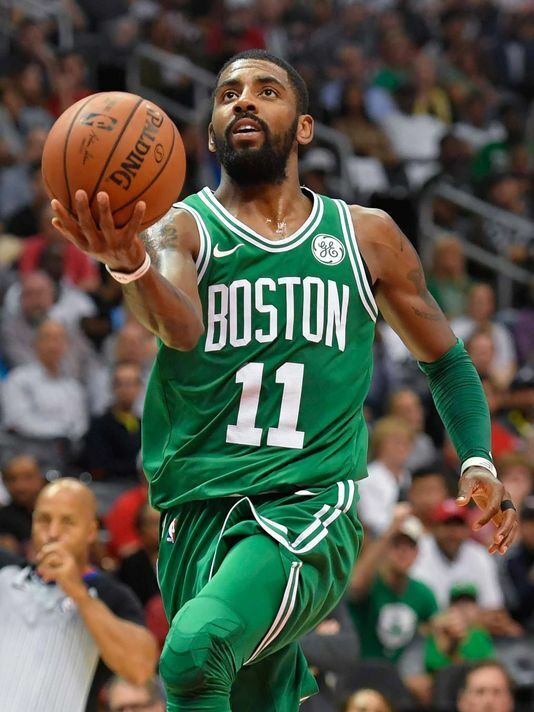 Boston Celtics star Kyrie Irving, one of the program's most prominent graduates, made sure the work got done. Irving paid to have Patrick School's gym renovated and build the team a new locker room, lounge and weight room. The new facilities were unveiled to the team during a ceremony on Saturday. Along new rims backboards, padding, paint and signage featuring Irving's new slogan, "Once a Celtic, always a Celtic," the new gym features banners with the names and numbers of famous Celtics. Irving is obviously featured along with legends like Shaheen Holloway, Samuel Dalembert, Al Harrington and DeAndre' Bembry along with players from last year's Tournament of Champions-winning team like Nick Richards, Marcus McClary and Jamir Harris. Legendary coach Kevin Boyle's name is on the wall as well. Irving has had a presence with the program since getting to the NBA. He sent gifts to the staff and students during the holidays last winter, and came back to the school to play pick-up games this past summer. He made sure every Patrick School player was there during that open gym, and that they all got time on the court with him. During these sessions, he noticed specific things that needed to be improved in the gym, including protective padding. "When Kyrie played here in the summertime, as he was walking out he turned to one of his guys and said, 'We're going to improve the place,'" Chavannes said. "For him to remember and actually get it done for Christmastime, it was amazing."